Last year I got this crazy idea to coordinate a training program that would prepare people to climb South Sister. I ended up with a small, but dedicated group who made it up the mountain in near winter conditions. Success! This year I brought the program back with a couple of seasoned climbers and some new people. 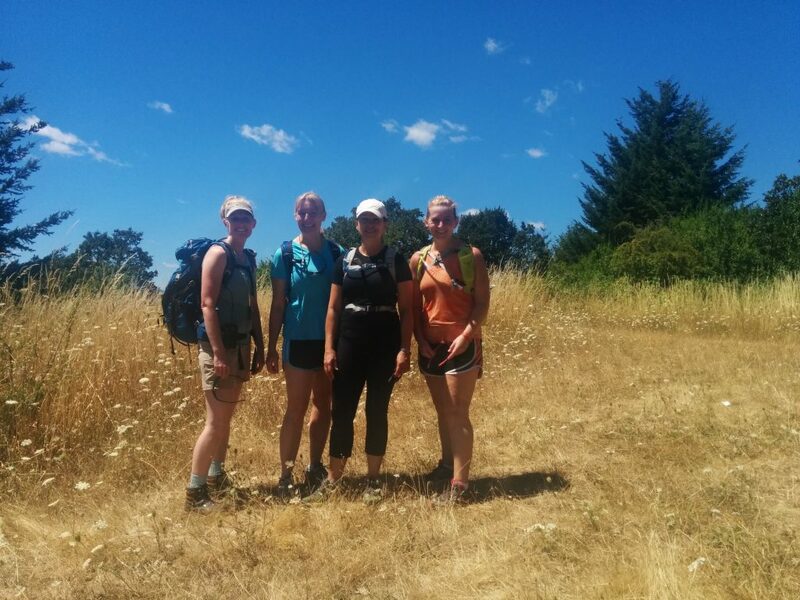 Our first training hike was at Bald Hill Natural Area. It’s not a terribly large park and the hill is only 440′ tall, but it’s what we had at our convenience. We managed to wrangle about 6 miles of hiking and 800 feet of climbing on our super-adventure loop. The air was H O T. A classic mid-summer day. It was nice to get the team outside and hiking together. An ascent of Bald Hill is not even close to a climb on South Sister, but these hikes can be great for bonding the team, assessing the effectiveness of your packing system and talking about fears and concerns. Mountaineering demands a range of skills, the least of which is fitness. The ability to self-regulate, communicate with your team, persist in a challenging/ changing environment and keep a positive mental attitude are all requirements for a mountaineer. These things are not readily taught in a classroom setting, but developed over time spent in the mountains. Bald Hill was the closest “mountain” for us to practice these skills on today and I look forward to watching how these skills develop in more and more difficult situations. This entry was posted in Hiking, Oregon and tagged hike366 on July 19, 2014 by Jess B.